Congratulations Matthew Coyne winner of the Terraforming Mars Giveaway! 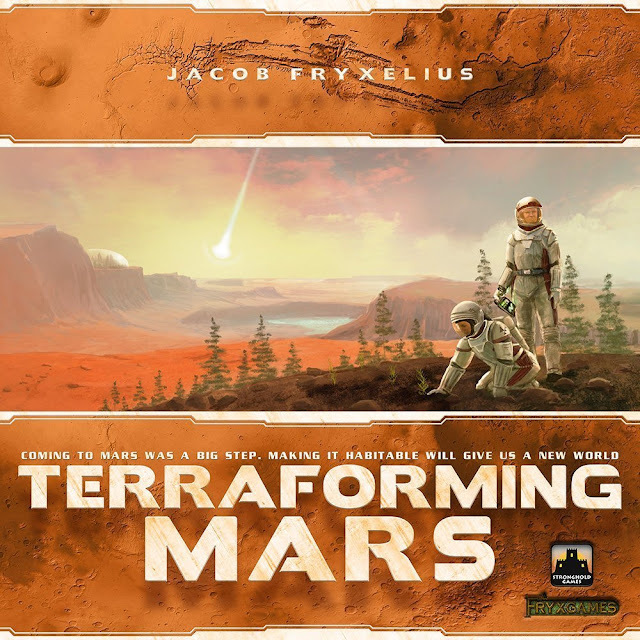 If you were not the lucky winner but would still like to get your copy of Terraforming Mars visit your FLGS or buy online. 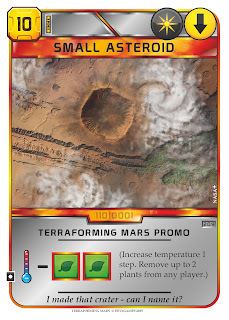 ***New 3/24/2017*** Stronghold Games has generously offered to throw in two promo cards for the winner!!! We have decided to launch a Patreon campaign in efforts to offer you more giveaways, reviews and board game content. All of this comes with a price though which is why we are asking for your help. By becoming a Patreon member you will get extra entries in all of our giveaways and be eligible for our EBG Exclusive Patreon Member Only Giveaways. Patreon is a great way to support us and get great exclusive rewards in return. 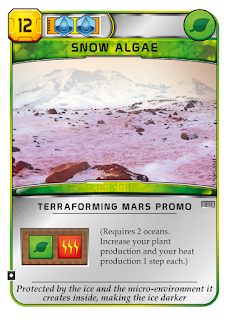 Find out more about Terraforming Mars on BoardGameGeek.com and the EBG Patreon Page by visiting https://www.patreon.com/everythingboardgames. This contest ends April 4, 2017 at 11:59 PM MST and is open Worldwide. Void where prohibited or restricted by law. You may not win this contest if you have won a giveaway through EverythingBoardGames.com in the last 30 days. Winner(s) will be selected April 5, 2017 via a random drawing from among all eligible entries and will be announced on this page and contacted by email. The winner(s) must contact EverythingBoardGames.com within 48 hours of notification. Any winner notification not responded to or returned as undeliverable will result in forfeiture at which point a new winner will be selected. Thanks for doing this EBG!